Yavuz began his music education in 1998 under the Law 6660 – Educational Act for Prodigy Children – and began to study with Kamuran Gündemir from Turkey’s Hacettepe University in Ankara. Turkish pianist Emre Yavuz won the grand prize and special award for "Best Schubert Performer" at the Panmusica Austria International Music Competition, the first such grand prize presented in the last four years, according to the Turkish-based culture and arts magazine. This year, the competition, whose jury was composed of Chung Lee, Armando Ford, Christodoulos Georgiades and Imola Jóo, did not offer any prize for second place. However, third prize was shared by Satomi Iwama and Chisato Fukumoto from Japan. Thanks to his success at the competition, 26-year-old Yavuz is scheduled to perform at Palais Lobkowitz Eroica Hall, which is affiliated to the Vienna Art History Museum. The musician will perform at the Mozarthaus Art and Concert House in Ankara, the International Turkish Cyprus Music Festival and Buca Municipality Culture and Art Center in İzmir in October. Born in 1990 in İzmir, Emre showed his talent for the piano at a very early age and was encouraged to start his music education by his parents and sister. He officially started his music education in 1998 under the Law 6660 – Educational Act for Prodigy Children – and began to study with Kamuran Gündemir from Turkey's Hacettepe University in Ankara. He won first prize for piano at the Blue Bird International Music Competition in Crimea at the age of 11. In the same competition, the young pianist was also awarded for the best contemporary music interpretation. Yavuz also had a chance to work with Fazıl Say and Sanem Berkalp during his high school years. He performed concertos of Mozart, Chopin, Saint-Saens, Tchaikovsky and Rachmaninoff with the major orchestras of Turkey such as the Presidential Symphony Orchestra, İzmir Symphony Orchestra, Bursa Symphony Orchestra, Antalya Symphony Orchestra, Bilkent Symphony orchestra and Borusan Istanbul Philharmonic Orchestra. Since 2006, Yavuz has studied with Karl-Heinz Kammerling at the University of Music, Drama and Media in Hannover, Germany and with Roland Batik in Vienna. He became the first student to graduate from the Vienna Conservatory by receiving full scores from all jury members for his performance of the works by Beethoven, Rachmaninoff and Saygun during his graduation recital. 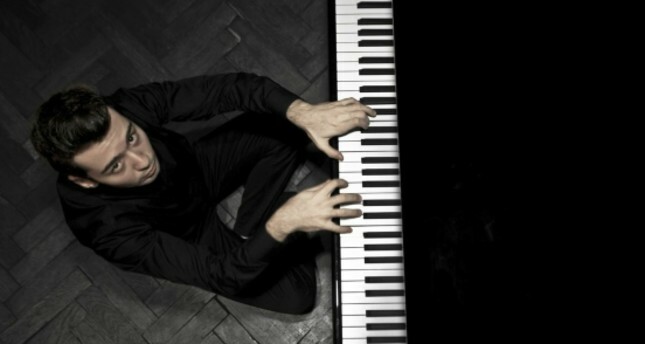 In 2007, Yavuz was awarded with the Chopin & Schumann Grand Prize in Sicily. In 2012 he won the first prize at the 4th International Rosario Marciano Piano Competition in Vienna, where he was recognized as an "outstanding artistic personality."